As the most popular way to spend leisure times in the modern digital world, watching movie is loved by everybody. Being different from watching movies in the old time, where you can watch a movie nearly only at a movie theater, watching a movie nowadays is much easier. You can watch a movie not only at movie theater, but also on a DVD player, or a smartphone or a PC. Each way to watch a movie has its own advantages and disadvantages. Some people likes to watch movie on a smartphone, because it’s portable, others likes to watch movies on their DVD player because it feels better. However, the movie material for each platform is usually not universal. For example, if you want to watch a downloaded AVI movie on a DVD player, what are you going to do? Well, today we are going to talk about how to burn AVI files to DVD using Nero. Nero, also known as Nero Burning Rom, is a well-known DVD burning program. The program is here for so many years and trusted by a great number of users. Speaking of burning an AVI file to DVD, Nero could be many people’s first choice. So here ishow to burn AVI files to DVD using Nero. Open Nero Burning Rom, click on the “New” button at the top-left corner, in the popped out window, choose “DVD-video” on the left. Now on the right you can set parameters like burning speed and number of copies and so on. When you done setting, click “New” to create your project. After creating the new project, you can find your target file on the right of the main interface. Locate your file, right click on it and choose “Burn with Nero”, then “Burn data disc”, as shown in the picture. You can monitor the progress while the disc is being burned. the text box above is the task log, it shows what the program is doing and what it has done. The two green bar shows the progress of current task and whole project. The burning will be finished once the second bar is full. After the disc is successfully burned, there will be a notification popped out, telling you the information of this project. You can now exit the program and take your disc out. Now we know how to burn AVI files to DVD using Nero. Despite Nero is a popular DVD burning program for so many years, it’s hardly the best choice to burn AVI files to DVD. With time passing by, there are a lot of better DVD burning programs produced, and the one called Leawo DVD Creator is one of them. 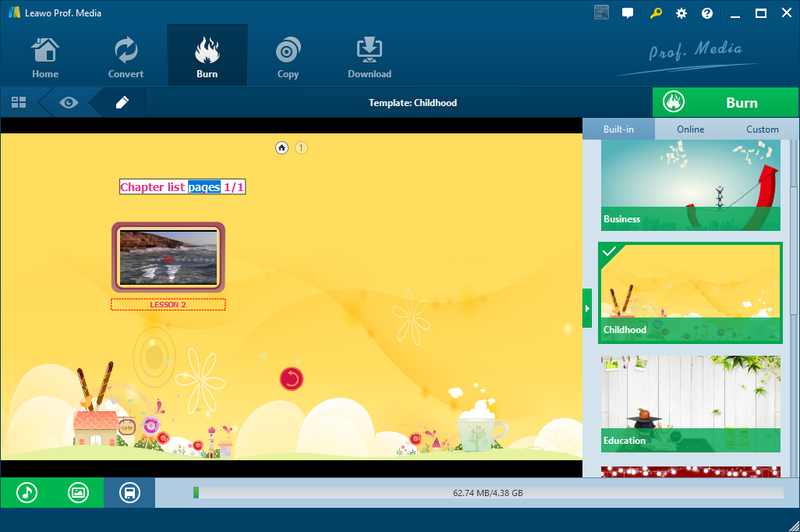 Comparing to Nero, Leawo DVD Creator is easier to use, has a cleaner user interface and has more practical functions like creating DVD menu chapters. 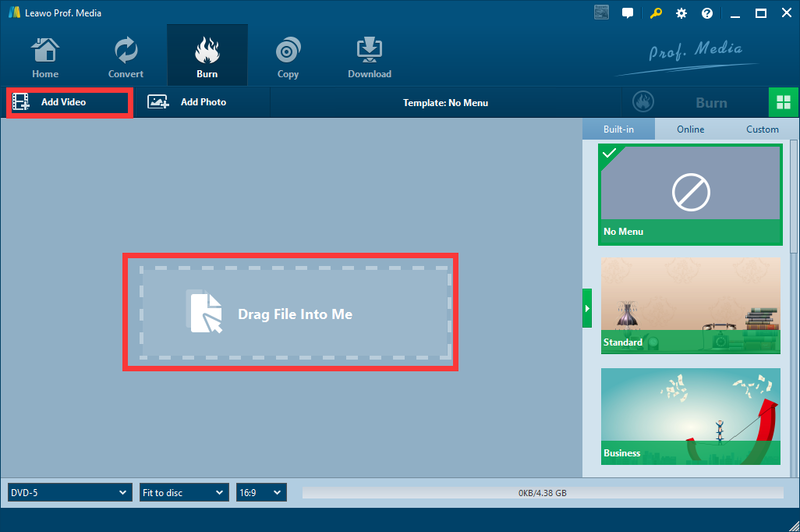 Now let’s take a look at how to burn AVI files using Leawo DVD Creator as well. Step 1: Download and install Leawo DVD Creator. Step 2: Enter the “DVD Creator” Section. Step 3: Import movie by clicking “Add video” button or drag file into the main frame. Step 4: On the right there is a section for you to choose DVD menu templates. You can choose Templates form built-in ones, or online ones. Click the eye icon to preview the template you desire. Step 5: Then you can edit the template like changing the text of each chapter. Step 6: When you finish editing, click the burn button to unfold the burning panel, and then choose a directory to save your file and click the “Burn” button below. Now we have learned the two ways to burn an AVI file to DVD, one is to Burn AVI files to DVD using Nero, the other is using Leawo DVD Creator. So what is the difference between the two? Nero is a wellknown DVD burning program, the program has many versions, and each version is slightly different from others. Generally speaking, the program could be reliable due to its reputation, but actual performance and functions depends on the specific version you are using. 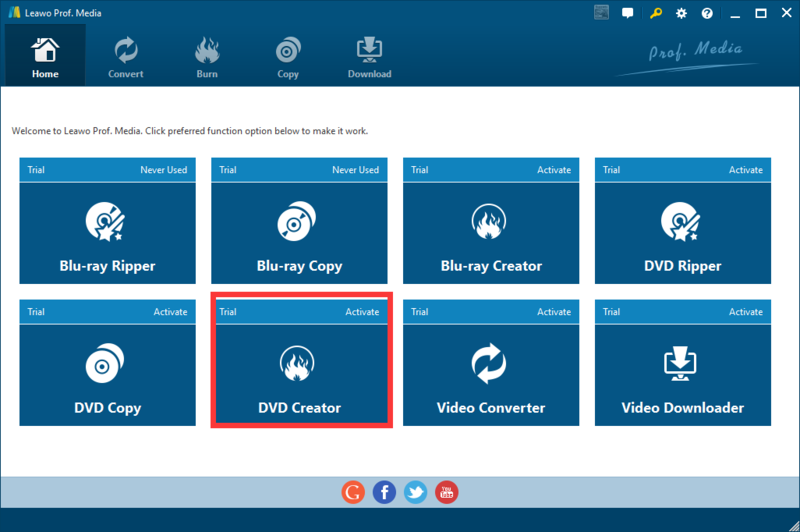 Leawo DVD Creator on the other hand, is same as reliable as Nero, but more promising, because you only have to download and install the latest version of the program to make sure you have the best performance. 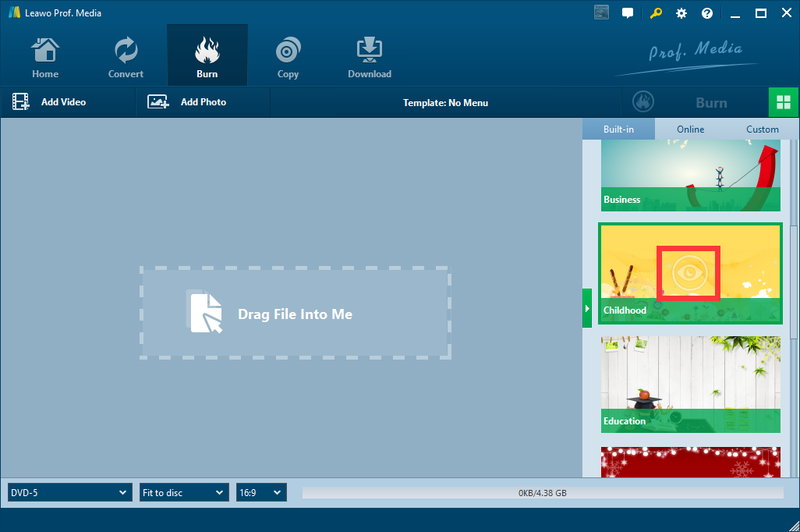 What’s more, Leawo DVD Creator has a prettier user interface, and is easier to use. So, unless you are a fan of Nero Burning Rom, it’s suggested that you try Leawo DVD Creator, and I believe you won’t regret it.